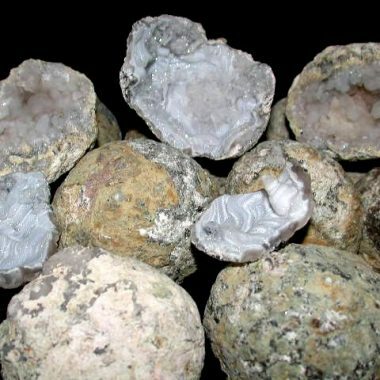 From the Trancas Mine in Chihuahua Mexico, these whole geodes are ALL hollow. 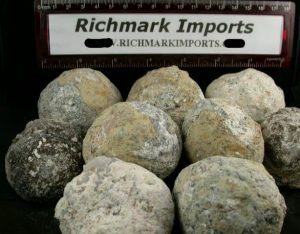 Their internal crystal formations have grown for millions of years hidden within their rocky shells. We provide them to you completely whole and unbroken so you’ll be the first to discover the treasures inside. All of these geodes will contain acrystal cavern. The internal crystal structures are all unique with quartz, fluorite, and calcite being the most commonminerals. Each one contains an exciting surprise of crystal formations and possible scepters, stalactites and stalagmites. In addition to their beauty under natural sunlight, most of them will also fluoresce bright green under UV light or black light. These geodes are both exciting and educational. What are you waiting for?